Just months into the Trump administration, Environmental Protection Agency Administrator Scott Pruitt's allies from Oklahoma contacted Pruitt and his chief of staff trying to get jobs for family friends and a chemical industry lobbyist – and Pruitt himself tried to recruit from the oil and gas industry, according to internal EPA emails. One of the allies was Oklahoma lawyer Gentner Drummond, who is vying to take Pruitt's former position as state attorney general in the GOP primary runoff in August. The emails were obtained by the Sierra Club through a public records request and provided to ABC News. "I am aware that you have visited with [redacted] regarding a position within the EPA. I have known [redacted] for most of [redacted] life, and would love to see another Oklahoman at the Agency," Drummond wrote in a June 29, 2017 email to EPA Chief of Staff Ryan Jackson, who is also from Pruitt’s home state of Oklahoma. "I am pleased to call or email Scott. What is your recommendation? The last cell number that I have for Scott is [redacted]." Although the name of the person being recommended is redacted in the body of the email, the subject of the email reads "RE: Katherine English." Drummond told ABC News that English is a niece of one of his former law partners, and that she had asked him to recommend her for the EPA job. The exterior of the headquarters of the United States Environmental Protection Agency (EPA) in downtown Washington, D.C., April 2, 2017. English’s name was hardly unfamiliar at the EPA. For nearly a decade, she had lobbied the EPA and Congress on behalf of chemical corporations. Most recently, she was the director of government affairs at Dow Chemical, and one of the company's leading lobbyists. In less than an hour, Jackson replied in an email, "Thank you. I know [redacted] really well and that would be fine. Thanks and hope all is well." Jackson and English go back more than 10 years, when Jackson was chief of staff at the Senate Committee on Environment and Public Works in Washington and English was a counsel at the committee. They are both alums of the University of Oklahoma as well. Drummond told ABC News that he didn't know which position English was seeking at the EPA, but said that he just knew that English was a qualified lawyer who had worked in Washington for a long time dealing with environmental matters. Drummond said he had not personally interacted with Pruitt, but knew of him as his capacity as a former state attorney general. A couple of weeks later, Drummond emailed Jackson again: "I have left Scott a voice message and a text but have not heard back, which is understandable given his ever-expanding role. What are your thoughts on a position for [redacted] within the Agency?" Drummond said he never heard back from Jackson after that last email. English was not reachable for an immediate comment. The emails show that Drummond was just one of many of Pruitt's old allies asking about positions at the EPA. For example, the emails reveal details about contacts between Jackson and lobbyist J. Steven Hart, a longtime Pruitt supporter. Pruitt rented a Capitol Hill condo from Hart’s wife Vicki Hart – also a Washington lobbyist – for a below market rate. In the emails, Hart invited Jackson out to dinner and often asked him for favors – including trying to get jobs at the EPA for Hart's friends. Both Hart and Pruitt have denied Hart tried to guide and influence EPA decisions. Hart sent an email to Jackson in April 2017 about a family friend who had applied for a job at the EPA. Jimmy Guiliano was seeking a policy position at the agency when Hart wrote to Jackson that his wife, Pruitt's landlord, spoke to Pruitt directly and he was following up on the matter. "He [Pruitt] told Vicki to talk to you about how to handle this," Hart wrote Jackson. Jackson responded "on it" after Hart wrote that Guliano was "important to us." In a statement to ABC News, EPA spokesman Jahan Wilcox said "the Agency accepts career recommendations from a number of acquaintances. Ultimately, Mr. Guiliano was not hired." According to the emails, Hart also recommended candidates for the Science Advisory Board on behalf of a client, Dennis Treacy, currently a board member of the Smithfield Foundation – the charitable arm of Smithfield Foods. The EPA also sought recommendations for the advisory board from major Trump donor Doug Deason and a former advisory board member Bryan Shaw. The emails also appear to indicate that the EPA has been recruiting agency employees from the oil and gas industry, which has backed Pruitt since his time as attorney general in Oklahoma. According to an email from ConocoPhillips lobbyist Kevin Avery, Pruitt "made a plea for candidates to fill some of the regional director positions within the agency" when he met with the American Petroleum Institute executives in March last year. ConocoPhillips was one of the oil companies that met up with Pruitt at the meeting. On March 27, just a week after the meeting, Avery reached out to one of Pruitt's closest aides, Samantha Dravis, with recommendations from the company. "As the communique indicates API member companies were asked to consider providing names of candidates who may be interested in government service," ConocoPhillips spokesperson Daren Beaudo said in a statement to ABC News. "We submitted two candidates for consideration at the EPA’s request. We were not involved in any other aspect of the process, and neither was ultimately appointed." Meanwhile, Henry Darwin, a former state of Arizona Chief of Operations who joined the EPA as the assistant deputy secretary in July last year, also got his wife a job at the agency. 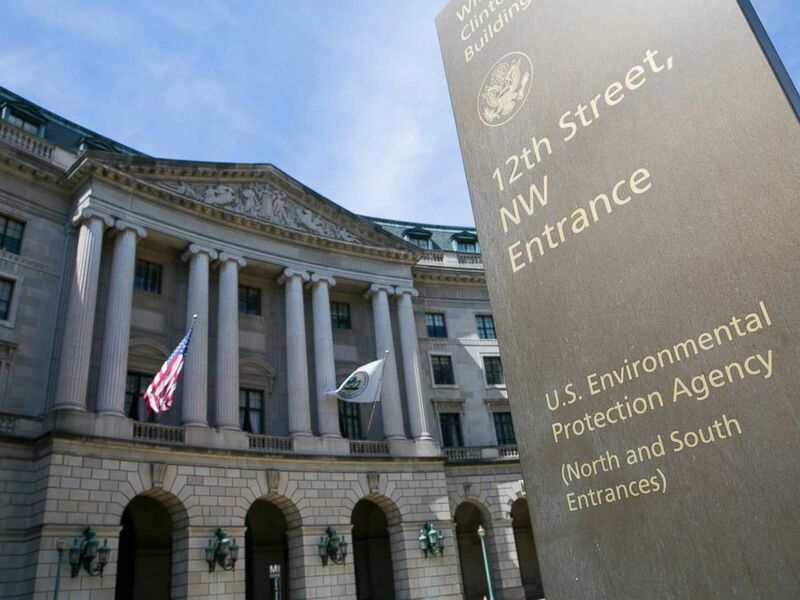 While negotiating his potential job offer at the EPA in May 2017, Darwin expressed concerns about the potential salary to Jackson, and asked if his wife, who is a "legitimate environmental professional" can also have a job at the EPA. "It would help our financial decision immensely," Darwin wrote to Jackson. "If not out of the question, I would be happy to forward her resume and references (which I would suggest you check - everyone loves her almost as much as I do)." Henry Darwin's wife, Veronica Darwin, eventually got a job at the EPA as a senior adviser to the administrator for Land and Emergency Management. “Veronica Darwin has spent more than 18 years working extensively on environmental waste issues that included roles as a compliance officer with EPA’s Region 9 office and as deputy division director for the Arizona Department of Environmental Quality’s Waste Divisions Program," EPA spokesperson Kelsi Daniell said in a statement to ABC News. "As EPA was looking to bolster its Superfund program and OLEM team, Ms. Darwin was an ideal fit for her current role." An anti-nepotism statute to a presidential appointment in the executive branch, a public official may not "advocate for appointment, employment, promotion, or advancement, in or to a civilian position in the agency in which he is serving or over which he exercises jurisdiction or control any individual who is a relative of the public official." It is unclear whether there is a statute that prohibits a candidate for a politically appointed position from recommending a family member for a job at the same agency.